Nieces, nephews and extended family attending the centenary Mass in Monagea Church. He qualified as a national teacher at De La Salle College, and his first appointment was to Balti-more in West Cork. He hurled with UCC, whose captain was Dr Jim Reidy also from Monagea. They were defeated by Midleton in the Cork county hurling semi-final and he was asked if he would line out for the county team. He declined and in 1914 a vacancy became available in Monagea School when one of the teachers retired and he was appointed. This was the start of a long career teaching in his native parish. In 1918 he succeeded John Ahern as principal, a post he held until he retired in 1957. Willie captained Newcastle West when they won the Limerick senior hurling title in 1917. They defeated Young Ireland by 3-4 to 3-1 at Rathkeale on June 2nd. Up to then the county selection rested with the county titleholders. How-ever, Newcastle West decided to forego this hon-our and leave the matter to a selection committee. Politically it was a difficult time in Ireland following 1916, and conscription attempts during World War 1.That was the back-ground against which a strong Limerick selection set out on the 1918 All Ireland campaign. After a 5-3 each draw with Tipper-ary in a hectic encounter at the Markets Field they upped the training. Jim Dalton was their trainer and they were based in Foynes during the sum-mer months. Part of the training involved climbing to the top of Knockpatrick Hill high above the village. The three heavyweights, Denny Lanigan, Jack Keane, and Willie Hough, had to descend half way down and reclimb to the top to the apparent delight of the other players. The special training paid off and they won the replay by 3-0 to 2-2 and defeated Clare easily in the Munster final. Limerick were offered a walkover in the All-Ireland final as Wex-ford were unable to field a team due to the flu epid-emic, but declined a blood-less victory. Limerick won its second All Ireland title on January 26th 1919 defeating Wexford by 9-5 to 1-3 on a cold bleak day. It was a disappointing final played in front of twelve thousand spectators, with Willie Walsh of Waterford the referee. It was a one sided final with Limerick superior in all sectors of the field. Their superiority lay in their preparation which had them trained to the ounce, their overall strength as a unit, and their first time hurling on the ground and in the air. Willie Hough was presen-ted with the All-Ireland cup by President of the GAA Kilkenny man James Nowlan. The team returned that night to Limerick by train. There were no enthusiastic supporters there to greet them (unlike 2018) and it is said that a passer-by asked “Where was the match today lads?” Willie was also a member of the Limerick team that won its third All Ireland title on March 4th 1923. It was the 1921 final delayed because of the Civil War. Limerick defeated Dublin by 8-5 to 3-2 in a disap-pointing final with Willie Walsh in charge. Willie won his third county club medal when Newcastle West defeated Bruff by 3-2 to 1-2 to win the county title at the Market’s Field on December 1925. Willie won two All-Ireland senior hurling medals, three Mun-ster medals, three county championship medals, and numerous tournament medals. In retirement he took up refereeing and distin-guished himself in National League games and Munster Championship clashes. His greatest honour came when he had charge of an All-Ireland semi-final between Galway and Kilkenny. He also excelled in adminis-tration and from 1924 to 1928 he was vice-chairman of the West Limerick Board. In 1936 he was elected treasurer of the Munster Council and remained in that post unopposed for 26 years. As a tribute to his services to the council they presented him with a trip to the United States. It was an indication of the commit-ment and dedication of a man who once cycled 29miles to Limerick to play a game against Tipperary at the Market Field and after the match cycled home. 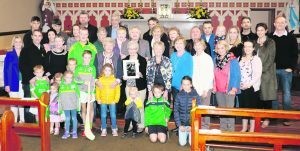 Willie died on April 13th 1976 aged 83, and on Sunday last September 9th, the Monagea GAA club commemorated the cen-tenary of Willie captaining Limerick to victory in the 1918 All Ireland final. 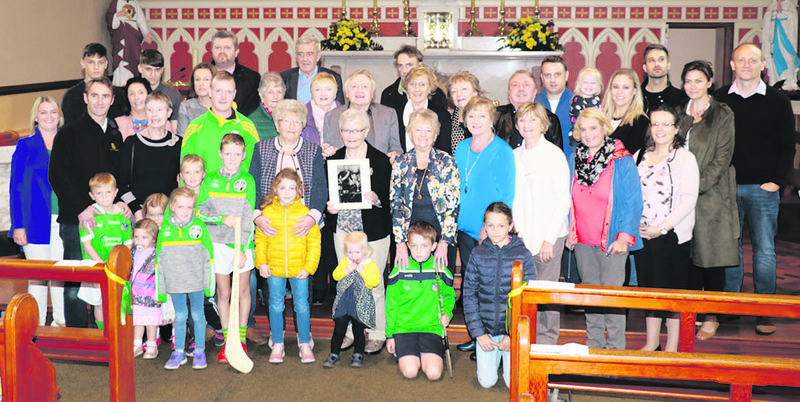 Mass was celebrated in Monagea church at 10am, followed by the unveiling of a plaque at Monagea GAA grounds and wreath laying at his grave in Monagea cemetery.